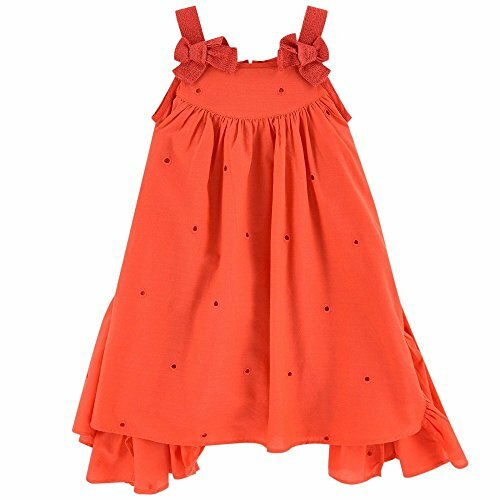 Strap dress in broderie anglaise with yokes, peplum on sides, asymmetrical and original for a girl's summery outfit. Wide ribbon straps with sheen, flare cut with flounces at waist. Invisible back zip. Cotton voile lining.